Some local, regional, and state leaders have worked to extend an invitation to VH1’s Top 20 Video Countdown to come to Cincinnati’s Fountain Square. This is in light of the very popular new song/video, “It’s Not My Time,” from 3 Doors Down – which was filmed in Cincinnati. The video is shot entirely in Cincinnati and covers prominent city landmarks in Over-the-Rhine, Downtown, Mt. Auburn and Lower Price Hill. So how can you help bring the countdown to Cincinnati? 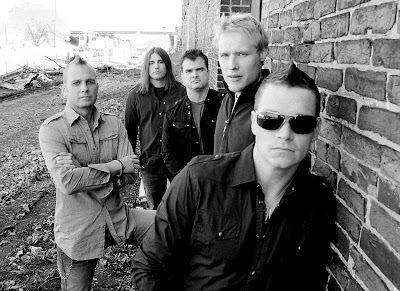 The easiest way is to go to VH1’s website and vote for the 3 Doors Down video. It is really quick/easy, and we need to get to work as the video is currently at the #14 spot on the countdown. Pass on this information to as many people as you know so that we can bring the countdown to Fountain Square. This effort would generate six hours of national publicity in roughly 90 million homes. The show is a two-hour program that airs three times during the week – beginning from 9-11am Saturdays – and features a dozen mini-remotes during which host Alison Becker touts the different venues from the assigned location of the week (insert Cincinnati). Alison would be able to tape from Fountain Square, Government Square, the Freedom Center, restaurants and nightclubs in/around Downtown, plus some views overlooking the city.